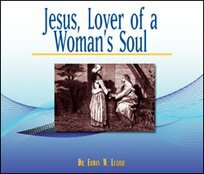 Jesus was not a feminist in the contemporary sense of the word, but He was ahead of His time in elevating and encouraging women. Rumors that He was married to Mary Magdalene are, of course, fictitious, but He did allow her and other women to accompany Him on His travels. Best of all, these messages will demonstrate the compassion and forgiveness of Jesus to all who came to Him. Here we see Jesus breaking selfish taboos to minister to those who needed a loving touch.